With a history that dates back to 1977, the law firm of Anderson, Fields, Dermody & McIlwain, Inc., P.S., in Seattle, Washington, has served the families of King County and the surrounding areas for more than 40 years. During that time, we have become the area's premier law firm for family law, and we strive to provide the highest level of representation and support possible to those who are going through divorce or have other serious legal issues affecting their families. As evidence of our success, we have earned numerous awards and honors for our impeccable professionalism and service, including recognition from Best Lawyers, the American Institute of Family Law Attorneys, The American Academy of Matrimonial Lawyers and other prestigious legal organizations. This success is the direct result of our unwavering commitment to those we serve coupled with our extensive legal knowledge and experience. We are proud to be able to help so many during their most difficult and uncertain times. Regarded as leaders in our field, we have literally written a book on Washington family law, and we have several other publications to our credit that can help you understand your rights and how to best navigate the divorce process. When you meet with us, you can trust that you will receive this same level of counsel for your matter directly from an attorney who is devoted to helping you protect your rights and interests, and increase your chances of obtaining the favorable outcomes you expect and deserve. 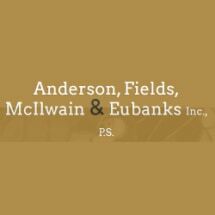 For more information on how Anderson, Fields, Dermody & McIlwain, Inc., P.S., can best serve your needs efficiently and competently, you can contact our law office to schedule a consultation. Monday - Thursday : 8:00 a.m. – 5:00 p.m., Friday 8:00 a.m. – 3:00 p.m.